Manchester United full-back Matteo Darmian is reportedly the subject of interest from Napoli president Aurelio De Laurentiis. According to Radio Kiss Kiss Napoli, Di Laurentiis has confirmed that Partenopei have submitted an offer for the 28-year-old defender. “We have asked for Darmian on a loan with a right to sign next summer,” the club’s President told Radio Kiss Kiss Napoli as quoted by Goal.com. 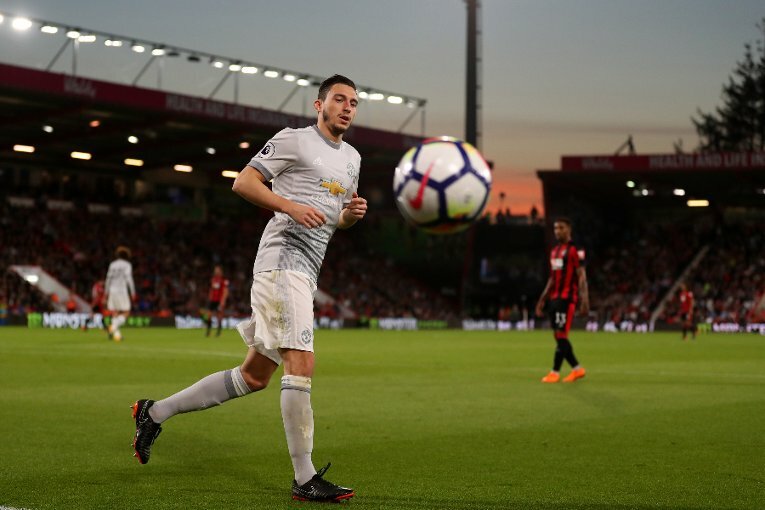 Darmian has fallen down the pecking order at Manchester United, starting just five league games for the 20-time English champions last season. United boss Jose Mourinho confirmed earlier this week that the Italy international is up for sale, while the defender himself has admitted that he is eager to move somewhere else from Old Trafford. The Serie A duo Inter Milan and Juventus have also been credited with an interest in a move for Darmian.